Global trade patterns are changing rapidly. Emerging economies are increasing their share of exports overall and intensifying competition in nearly all sectors. Low-cost advantage initially helped emerging economies, particularly China, penetrate low technology labour intensive sectors. More recently, emerging economies have started to compete in higher value-added sectors where European industries have traditionally had comparative advantage. Greater trade integration has also led to a dispersion of value chains well beyond national borders, increasing the granularity of trade. In this rapidly changing context, it is valuable to predict the future profile of EU exports so that the results can inform current policy. 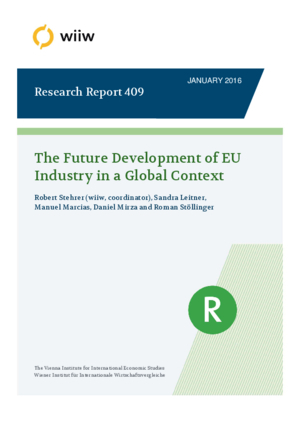 Using a model based approach this report examines the future profile of EU exports at sector and aggregate level in terms of trade volumes and quality competitiveness. A value chain approach allows then to quantify impacts on sectoral value added and GDP.